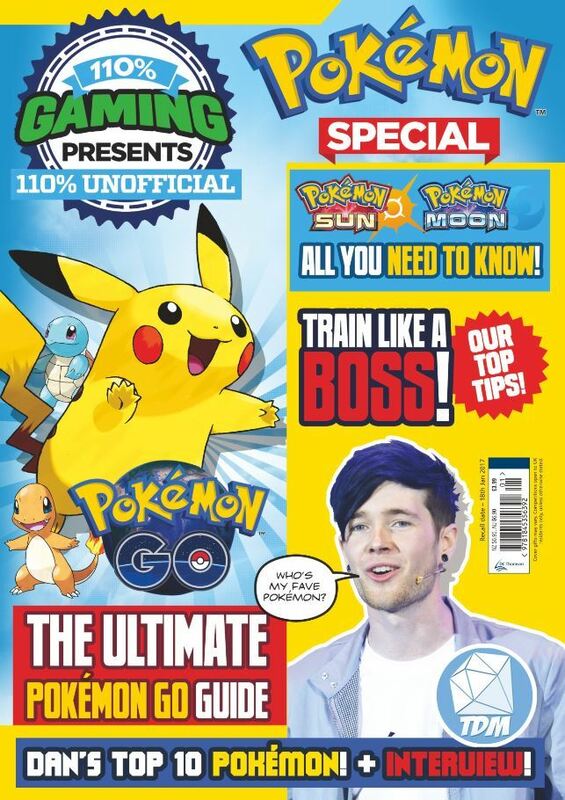 DC Thomson title, 110% Gaming, launches a one off Pokémon Special magazine, for children aged eight to 14. - D.C. Thomson & Co. Ltd.
DC Thomson title, 110% Gaming, launches a one off Pokémon Special magazine, for children aged eight to 14. Following a successful launch in October 2014, 110% Gaming has become an established authority on gaming in the primary boys’ market. This launch is their very first spin-off title, focusing on the worldwide phenomenon that is Pokémon. Utilising the expertise and experience of the 110% Gaming editorial team, this magazine is designed to appeal to the masses caught up in the buzz around Pokémon Go. The 52 page unofficial magazine includes Pokémon gamer tips, previews, facts, puzzles, competitions and prizes. It also includes previews on the new Pokémon Sun and Moon console games (launching November 2016) as well as retro and spin-off Pokémon games. 110% Gaming Presents – Pokémon Special is on sale now, priced £3.99. Click here to purchase online.